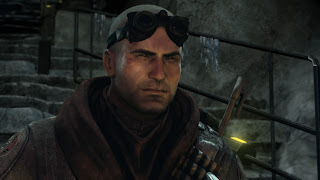 Red Faction: Armageddon is a 3rd person shooter by Volition and the fourth installment in the Red Faction series. This time the game has adapted a more linear style, a step away from the usual open world you would expect so does Red Faction: Armageddon accomplish a more controlled experience or do things get way out of control. 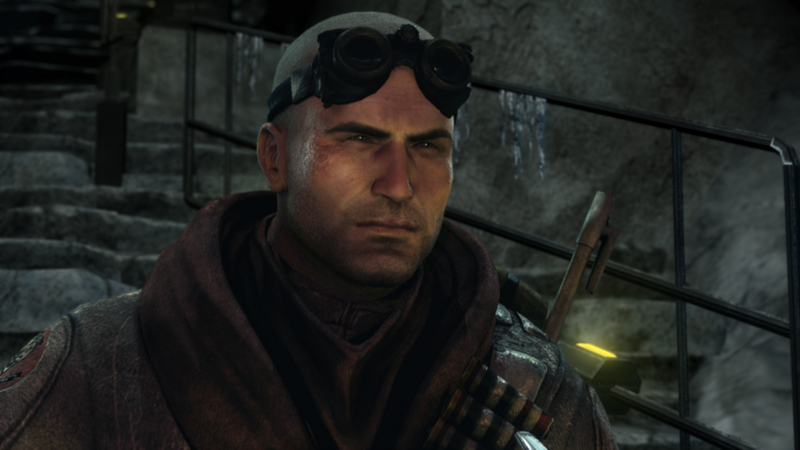 Darius Mason, a soldier who is part of the Red Faction is on a mission to stop Adam Hale and the Cultists from destroying the Terraformer that stabilises the planet’s atmosphere. Darius makes a critical mistake and Adam Hale succeeds in taking down the Terraformer, in turn making the surface of Mars a wasteland and forcing everyone underground into the caverns and mines. A few years later Darius takes a big job at Bradbury Canyon in which he is tricked again by Hale to release the seal on blood thirsty aliens who take over the planet. Darius then takes it upon himself to stop Adam Hale and rid Mars of these super powered alien. 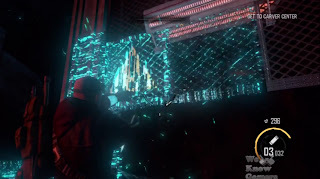 The story is very detailed and does immerse the player pretty well however it can become a little hard to follow as throughout the game it was jumping between killing Adam Hale to stopping the infestation to finding the source of it all, making things very confusing. Also pacing seemed to be a problem as parts of it seemed to slow down drastically and then radically speed up mid game. There is a good sense of character development with the inclusion of Kara (Darius’s love interest) and Sergeant Winters however even with these additions; they don’t make much of an impact on the overall plot. You’ll be in control of Darius Mason as you look to set the planet free from the Cultists and the alien infestation. The core element of the game is the Nano forge in which you can use to repair things, blast away your enemies and upgrade in order to give you a better chance against your enemies. In order to upgrade the Nano forge, Salvage points are needed and these are available through completely wrecking the environment around you. This will be fixed in no time! 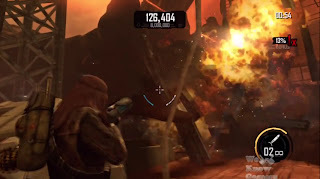 The ability to destroy the environment or use it against your enemies is definitely one of Red Faction Armageddon’s highpoints in giving the player more options on how they want to take out the enemy. However even with such a feature its awkward to not see it being used in game more often just like at the beginning where you had to destroy the wall in order to proceed. 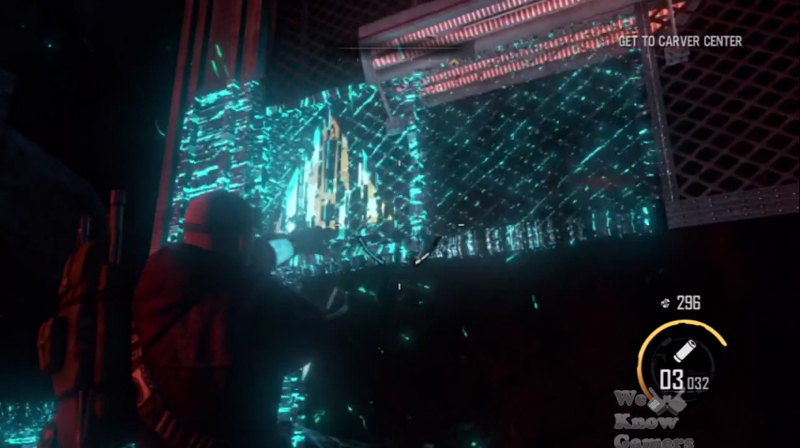 The game also features a good variety of science fiction weapons and general ones you would see in everyday life. You can carry only four weapons with you at a time however any others you come across will be stored in the Weapons Locker which can be accessed from red terminals that appear during a level’s checkpoint. The main forces you will be taking on are the Aliens; however you do come in contact with Adam Hale’s side at certain points throughout the game. The aliens come in different shapes and sizes and each class have their particular skills such as the Ravager, who can shoot lasers and the Wraith that can disappear and re appear. It’s also good that there are aliens that co-exist with the others in such a way that it boosts the defence of those surrounding it, therefore adding more difficulty to gameplay. While it’s fun destroying armies of these guys, it can quite repetitive after a while and seems to lessen the overall gameplay experience but at certain points, boss aliens do appear which give more of a challenge in which you have to think more strategically allowing the player a break from the usual alien shoot up. There are also areas in which you are controlling mechanical structures such as the Scout Walker and Inferno GX. It’s a nice touch in which it gives you a better chance against the odds but even so the same principle of taking out alien after alien still applies here with there being little variety in actually using them in a more objective way. Instead of going down the route of having players online take each other out, Red Faction Armageddon introduces two new online modes, Ruin and Infestation. In Ruin mode, the objective is to cause as much destruction as possible by destroying the map around you. You are allowed to pick the weapons at the beginning and left freely to decide how you want to ruin things. Within Ruin Mode there two options called, free play mode where there is no time limit and you can go completely all out and reduce everything to ash and Challenge mode where you are timed and scored on the amount of destruction you produce. As you clear each score bar, you will unlock more maps to wreak havoc on. Darius loves to blow stuff up!! Infestation mode can be played on your own or with up to 3 other people off or online. The objective here is to survive wave after wave of alien attacks. Each mission goes up to 30 waves and differs from you surviving the attack or defending a stronghold. Infestation mode also gives you the ability to customize you character, level up your stats and upgrade the Nano Forge to stand a better chance against higher waves. It’s a good step away from the standard free for all and Team death matches you would usually find in these types of games. Infestation mode can be addictively fun, especially when playing with others and Ruin mode increases the fun factor while boosting the game’s replay ability options in the sense that you would want to beat your score. Cutscenes looks impressive and the way characters interact with each other throughout them looks fluid and believable however they do seem to appear at awkward moments where all you had to do was pull down a switch but in most situations they do help to progress the story very well. The environments look great and stand out really well. They’ve done a great job in using the lighting in just the right places in order to really bring out the Mars wasteland, all the way to the dark and gritty tunnels underground. 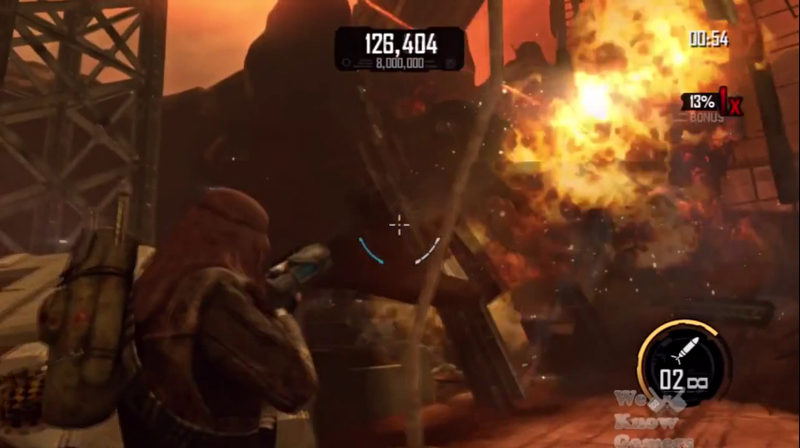 Red Faction: Armageddon’s use of an incredible variety of weapons and destructible environments adds a lot of choice and freedom to the game. 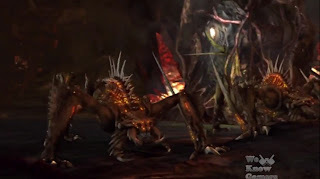 It can become difficult to fully grasp the entire plot and at times it does feel like a cutscene is added in just to fill the space, however with the addition of Infestation mode and Ruin mode, players have more than enough reason to keep coming back for more.